435 bhp, 5,935 cc V-12 engine with four overhead camshafts and four valves per cylinder, six-speed manual transmission with a twin-plate racing clutch, four-wheel independent suspension, and four-wheel Brembo disc brakes. Wheelbase: 102 in. Looking to reinvigorate sales and interest in the Aston Martin brand, Ford once again teamed up with Zagato in 2002 to create a limited-production, coachbuilt grand touring car in the spirit of the DB4GT Zagato of the 1960s and the V8 Vantage Zagato of the 1980s. A design collaboration between Andrea Zagato and Aston Martin’s then-chief designer Henrik Fisker, the DB7 Zagato utilized key design cues from both Aston Martin and Zagato to help give the car a distinct look but make it instantly recognizable to enthusiasts as both an Aston Martin and Zagato product. 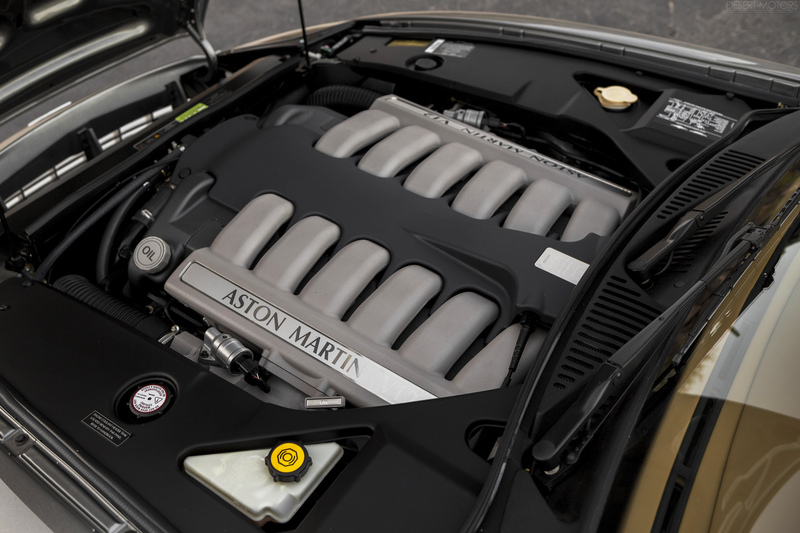 Based on Aston Martin’s existing DB7 platform, the car was powered by a 6.0-liter V-12 engine, which produced 435 horsepower and provided the car with a 0–60 time of 4.9 seconds and a top speed of 189 mph. 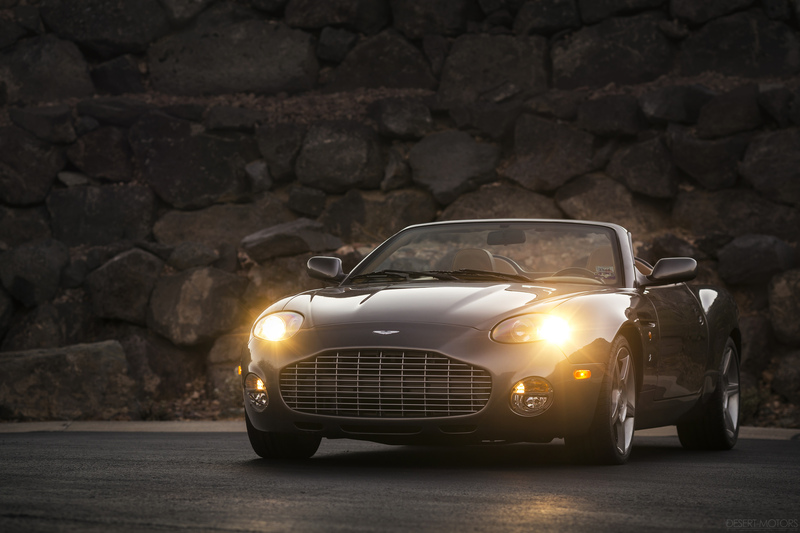 As the United States market was not offered the DB7 Zagato coupe, it was only right that Aston Martin and Zagato offer another limited-production product for their American clients, and thus, the DB AR1 was born. 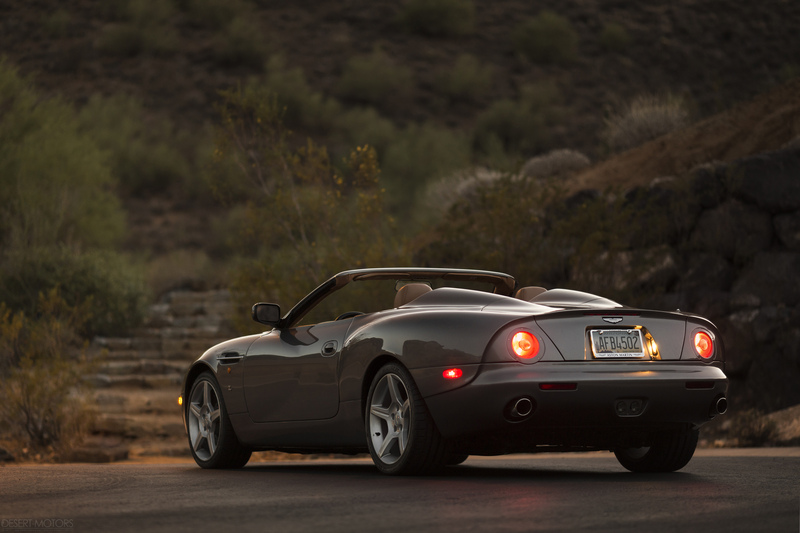 First shown at the 2003 Los Angeles Auto Show, the DB AR1 was an exciting fully open roadster that remained largely similar to its closed sibling, and it was instantly regarded as one of the best designs that both Aston Martin and Zagato had ever produced. Finished from new in Tungsten Silver over Light Tan, the beautiful example offered here was the 37th of the 99 DB AR1 roadsters built. With only 800 actual miles, it remains in excellent condition throughout. It is complete with the original pair of umbrellas (mounted inside of the trunk lid). The DB AR1 remains as popular and iconic today as when it was first built, and opportunities to acquire one are few and far between. This example, in excellent colors and with low original mileage, would be a superb addition to any Aston Martin connoisseur’s stable.